Welcome to another week of retro gaming news! Who remembers Chuckie Egg? 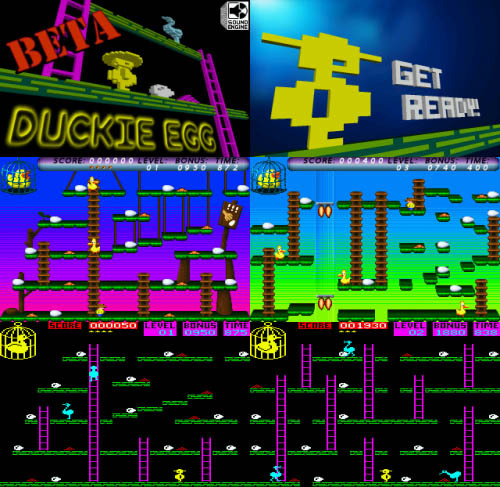 One of the earlier games that helped the platforming genre take off, Chuckie Egg was released on almost every 8 and 16 bit computer. Recently ported to the Atari Jaguar as ‘Duckie Egg’, a conversion where you avoid ducks instead of the original’s chickens (see what they did there? ), it’s now available for free as a download. Although it is currently considered a ‘beta’, it has over forty levels, both enhanced and retro graphics, and a bunch of other features that make it well worth the download. Don’t have a Jaguar? No problem as the game works well under the ‘Virtual Jaguar’ emulator (Mac, Windows, Linux). Atari Age forum thread with game download links. I recently happened upon ‘Strike of Rage!’, a Ludum Dare entry (a 48 hour thematic game coding competition held periodically throughout the year) that was retro based, difficult, funny, and well animated. 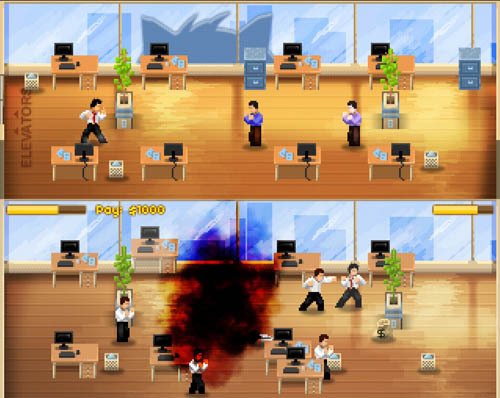 Think Final Fight or Double Dragon, but instead of having to rescue a fair maiden, your avatar goes on a rampage because – get this – he didn’t get a pay rise! Check it out and play it online here. ‘Castle Quest’ for the NES, which was never released in the west, has a newly updated ROM patch which has resulted in a near perfect translation. 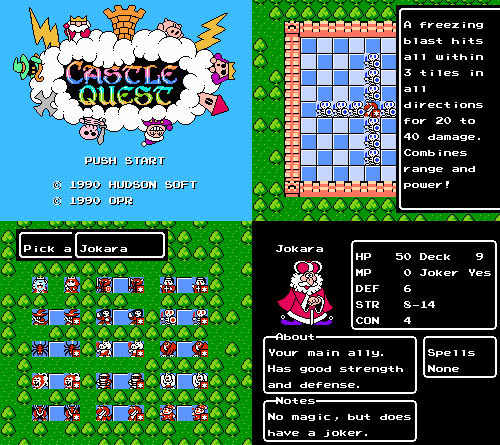 Released in a somewhat modified (not to mention less colourful) form on the Gameboy, ‘Castle Quest’ is part board game, part RPG, and is great fun. Enjoy! Further information and download at romhacking.net. 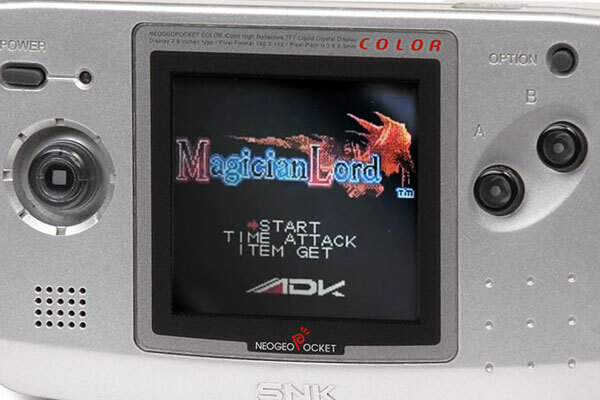 A prototype Neo Geo Pocket Colour side scroller, ‘Magician Lord 2’, has recently been uncovered. http://www.retrocollect.com/ has links to three videos provided by Gamekult. Let’s hope the game makes it out for fans of the NGPC to experience. Click here for more information and videos. Oddworld : Abe’s Oddysee – New ‘N Tasty will be getting the HD treatment, with versions expected on the PS3, Xbox 360 and PC. 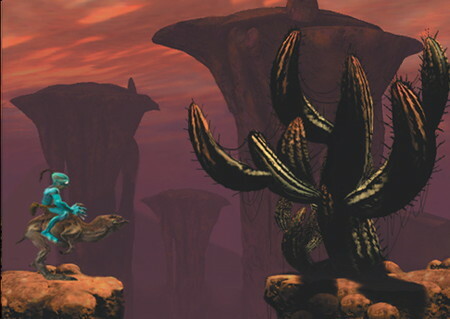 The second game in the Oddworld series to be updated, this should not only look great in high res, but should play very well if it’s anything like the original.